We all know social media is an important business marketing tool, and playing where your market plays is a key aspect of choosing which social media platform to "play on". If your market is the business world then having an up-to-date LinkedIn profile is more important than ever. Why is having a LinkedIn profile important? There are lots of reasons to have a LinkedIn profile. Here are three key reasons. LinkedIn has become the go-to place for people to do their research on you. Once upon a time your bio on your business' website was where people went to "check you out". Now, it's LinkedIn. If you (or that person above who's researching you) googles your name, its likely that your LinkedIn profile lands at the top. Try it see - I know when I google Mell Millgate, LinkedIn comes up number one, BEFORE starfish marketing. 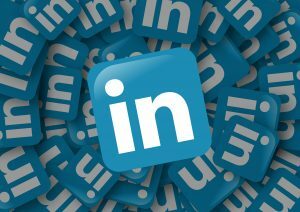 So if you're out there meeting people and trying to engage and communicate with your market (whether it's on-line or in person), you need to have a LinkedIn profile so they can easily find you. You are able to demonstrate your skills, your expertise, and how you (and your business) can help your market. Linked in has over 225 million members, making it the worlds largest professional network. Having a LinkedIn profile gives an impression of credibility, especially if you share articles, videos etc that demonstrate your expertise. If you haven't updated your LinkedIn profile (or heaven forbid don't even have one), it's time to take action! Your LinkedIn headline defaults to your most current experience (role/company). However, it's more than a headline, it's a powerful tool to add colour to your profile. Make it standout by making it more descriptive. In this space include one or two paragraphs that sum up your professional capability. Act natural. Picture yourself at a meeting, how would you introduce yourself? Describe your role in the context of what you were responsible for achieving, the value you provided, not what you did on a day to day basis. Having a photo for your profile is A MUST. It is essential to make sure it’s a professional photo and only of you. Now is not the time to be humble! Provide examples of what how you help your clients. What key problem do you solve for your clients and how? And if you really want get funky download the template below. You can type in your content, get it right (funked up) and then copy paste into your LinkedIn profile.